A visually appealing website will surely attract more visitors. With this in mind, don’t leave it all in white and black! 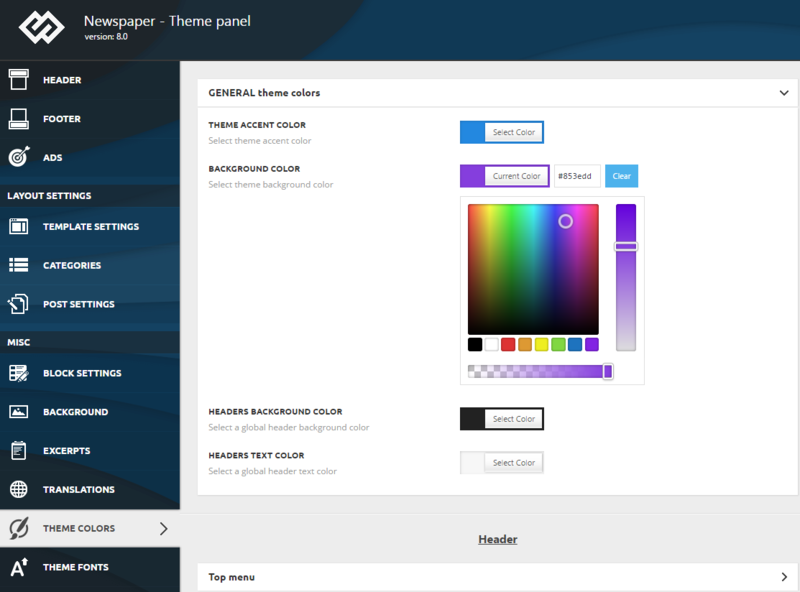 Start by uploading a beautiful image and design your own custom background. For more details check the following sections. 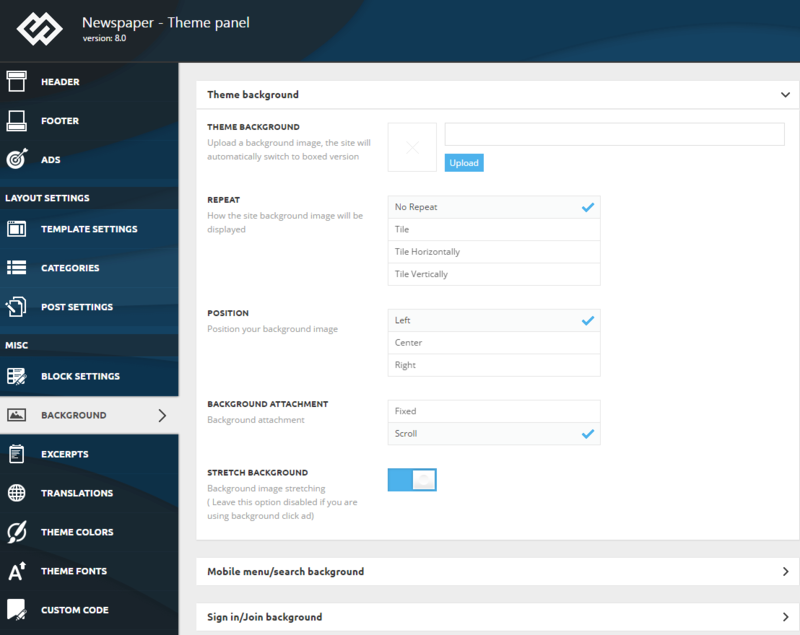 Theme background – The theme will automatically transform your website into a boxed version. Repeat – This refers to the way the background image will be displayed. By default, this option is set to No Repeat. If you use a pattern and you want it to be displayed repeatedly check the other options: Tile, Tile Horizontally, Tile Vertically. Position – By default, this option is set on the Left, which means that the image will be positioned on the left side of the area. If you want to position it differently check the other options: Center and Right. Background attachment – Set this option if the image you use should be fixed or it follows you when you scroll. Stretch background – This option stretches the image all over the screen. Please leave this option disabled if you are using background click ad. Note – a custom image or color can be set on each of the category pages; for more details please check the categories documentation. 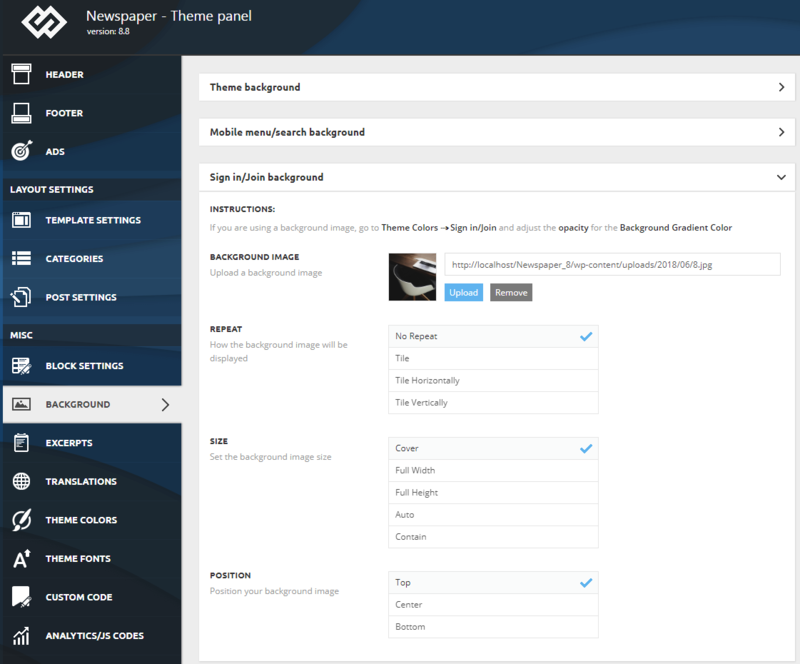 Sign In/ Join background – Allows you to set a background image for the theme login modal. First, you need to set an image. For more details please check section 1 from this page. Next, you need to set the URL used in the background ad; for this go to Theme Panel > Ads > Background Ad and paste the ad’s the URL in the field. Save the settings. 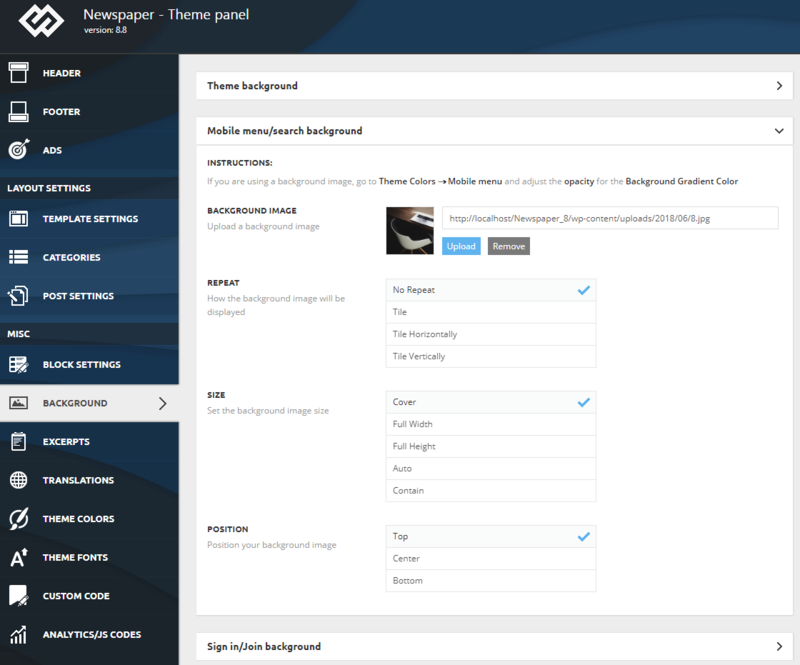 Note: When you set a color or an image as a background, your website will automatically change to the boxed version.